The Ostrich only has two toes, while all other birds have three or four. In some places, there are ostrich races where people ride on the backs of the giant birds. The flightless Ostrich is the world’s largest bird. They roam the African Savanna and desert lands and get most of their water from the plants they eat. Ostriches sometimes eat stones and pebbles which help them to digest their food. Though they cannot fly Ostriches are fleet, strong runners. 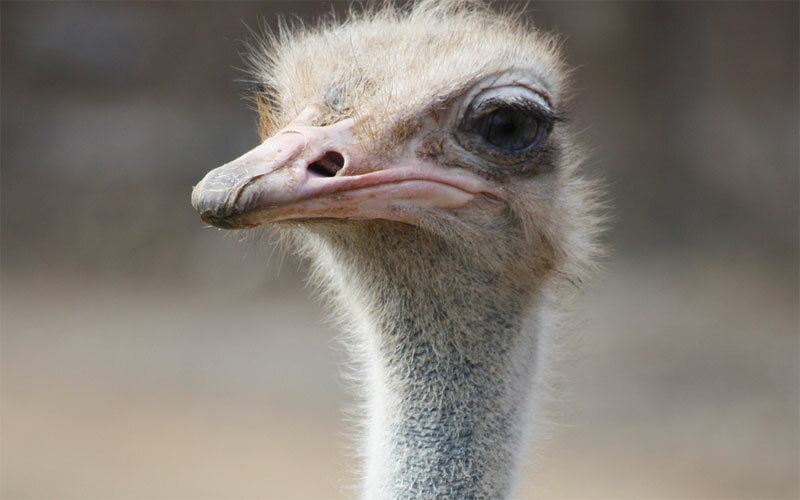 The Ostrich also has the largest eye of any land animal. Its eye measures almost 2 inches across. The average life span for an Ostrich is 30 – 40 years.